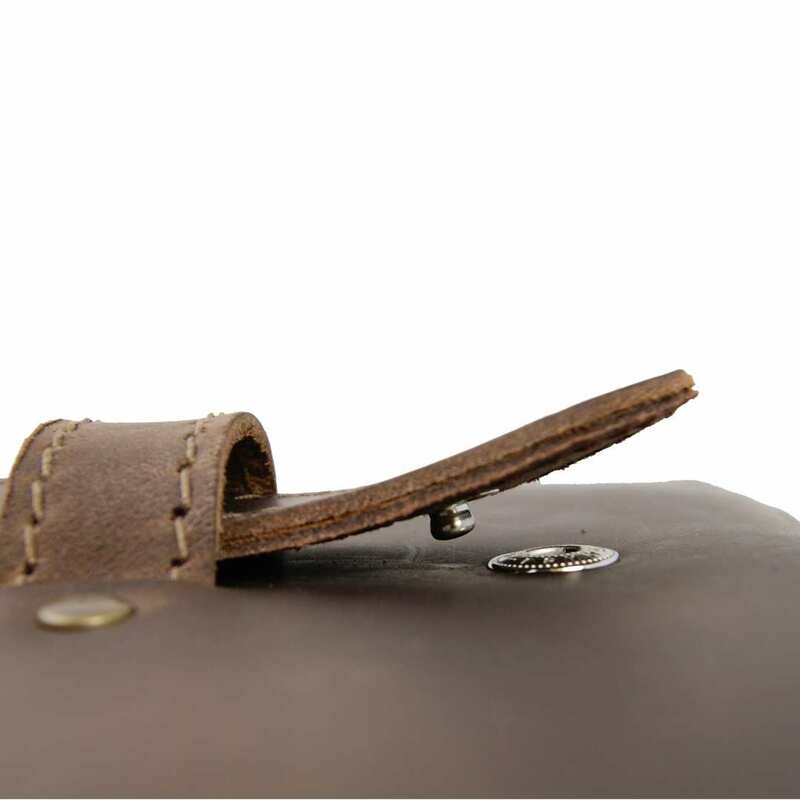 Product information "iPad case ZUSE 1 of brown organic leather"
The netbook bag ZUSE 1 made of brown organic leather offers you lots of space with a noble look. 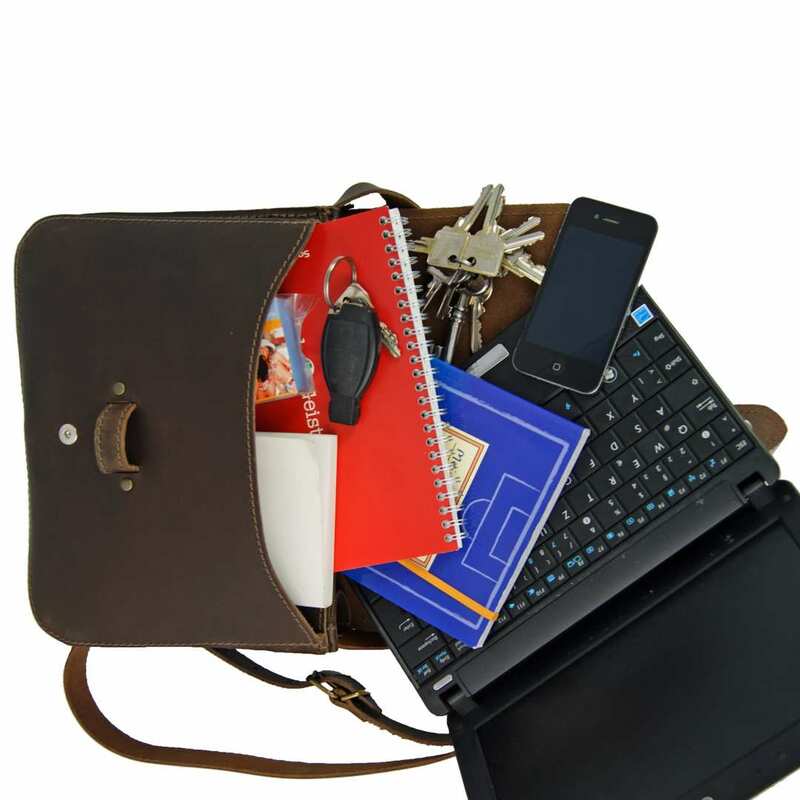 Laptop, pens, books, notepad on a business appointment or in the office, you will always have everything ready to hand with this special and very spacious netbook bag. 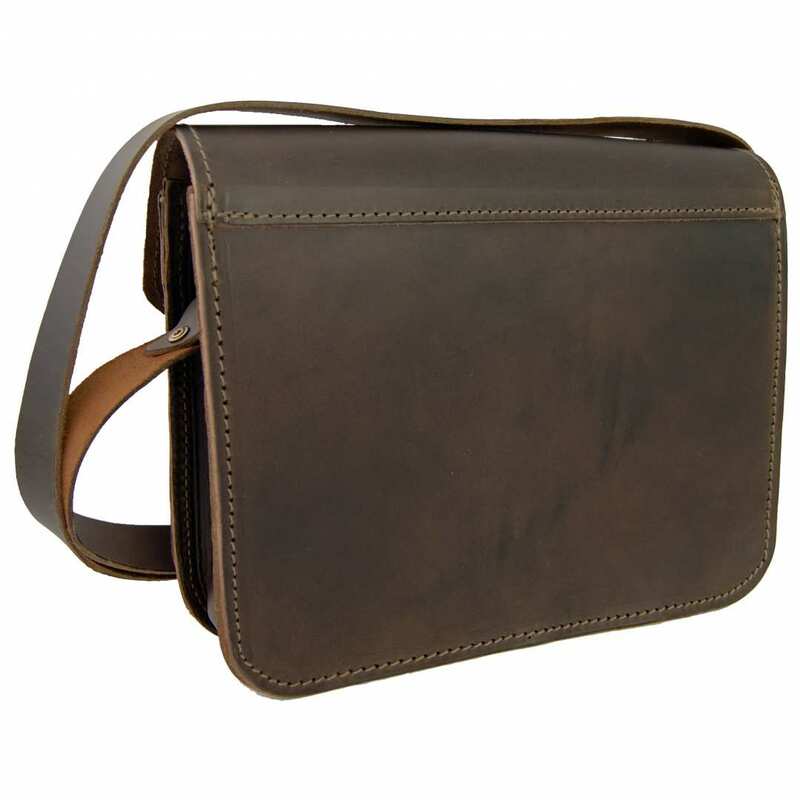 The iPad case ZUSE 1 of brown organic leather appears in a noble courier bag look. Perfect processing and high grade materials make the netbook bag a sturdy companion. All contents are perfectly protected even when the weather is bad. 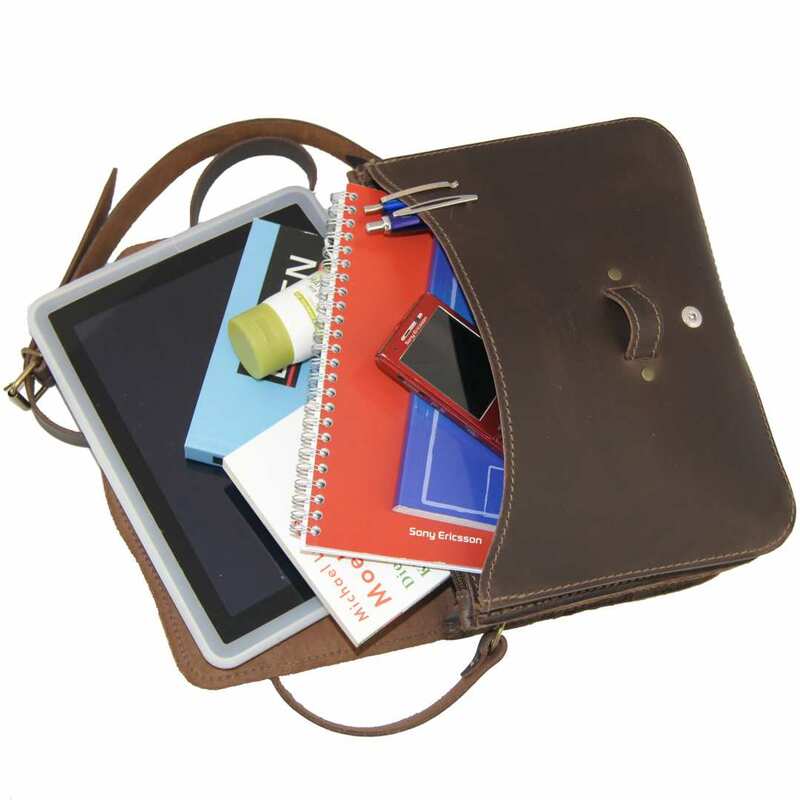 The netbook bag ZUSE 1 is made of brown organic leather of a very high quality material. After a certain time signs of use in the form of colour abrasions will appear. This is an intended effect and turns every bag into a unique piece because each article shows different shade changes. It is the personal touch of your bag. 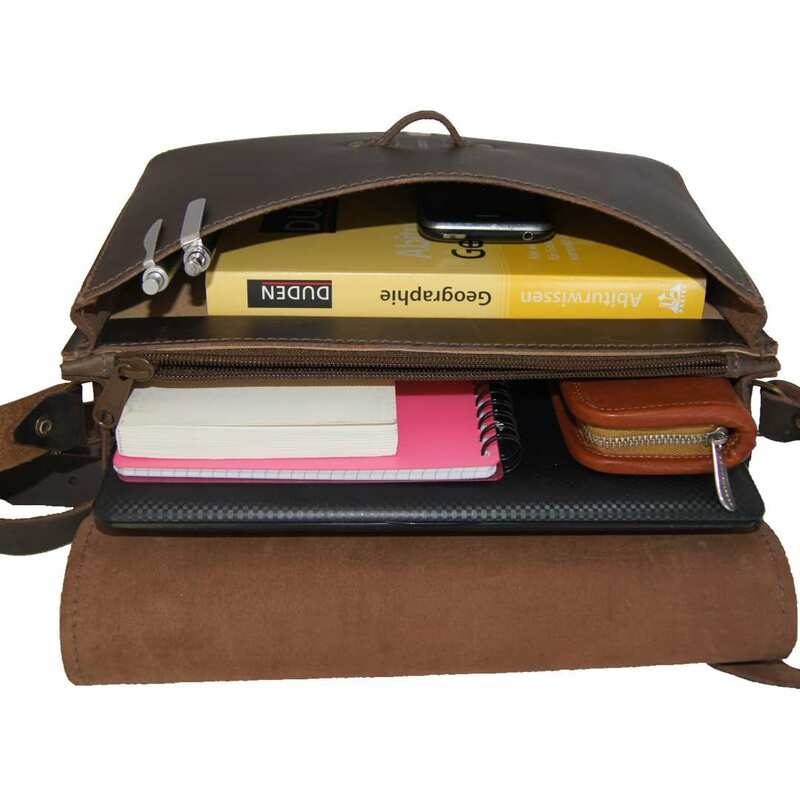 For the netbook bag ZUSE 1 of brown organic leather only vegetable tanned leather is used. It is dyed through and greased by hand. 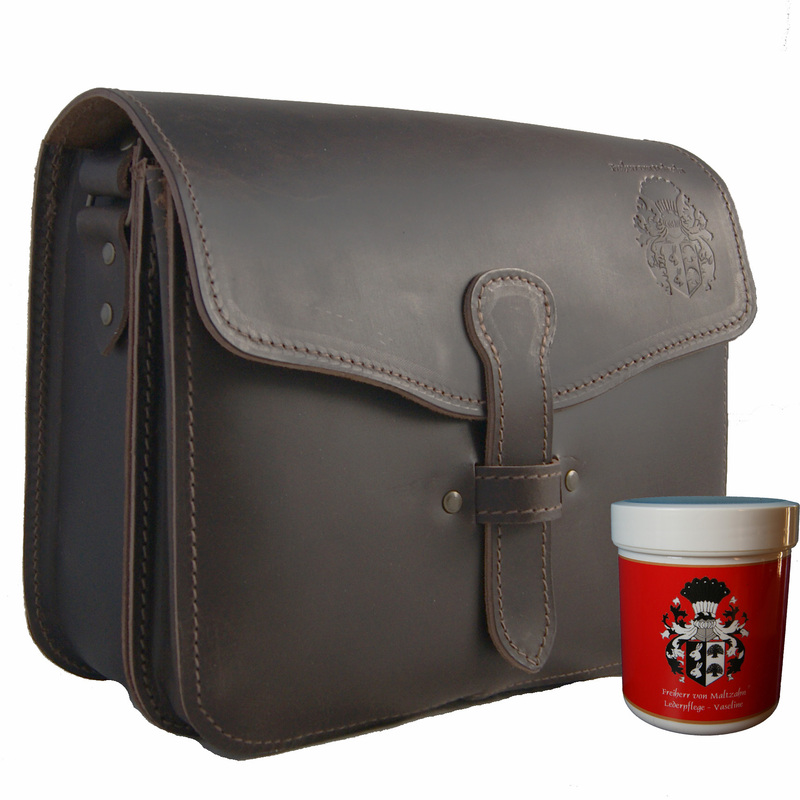 Thereby the courier bag becomes a special high grade product. 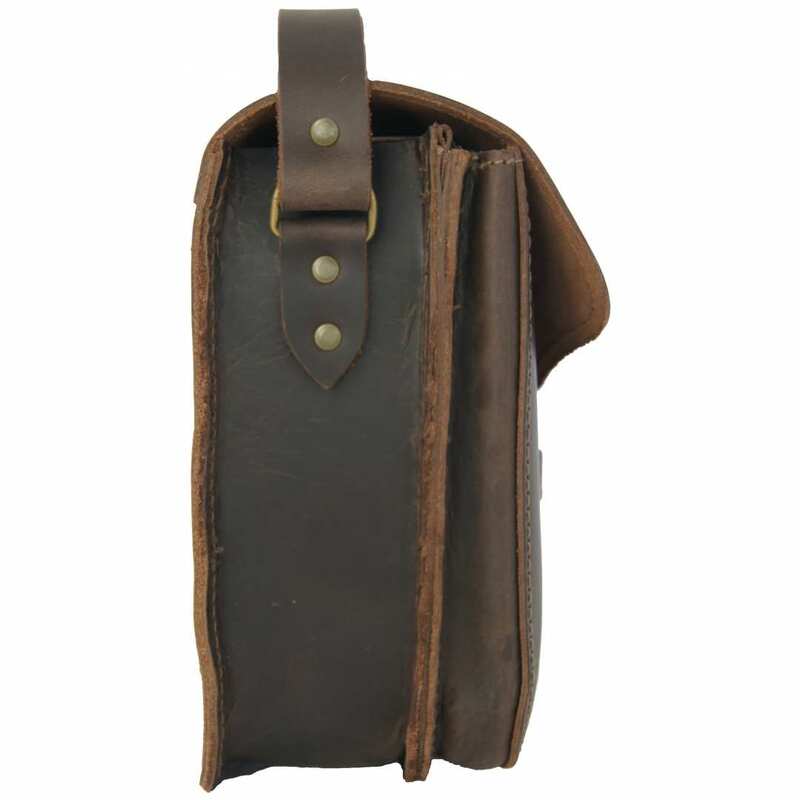 You should maintain this leather bag with only high quality leather care to keep the beautiful look and to increase its longevity. Order now - a confident and safe bag for your tablet computer on the road! Reviews for "iPad case ZUSE 1 of brown organic leather"